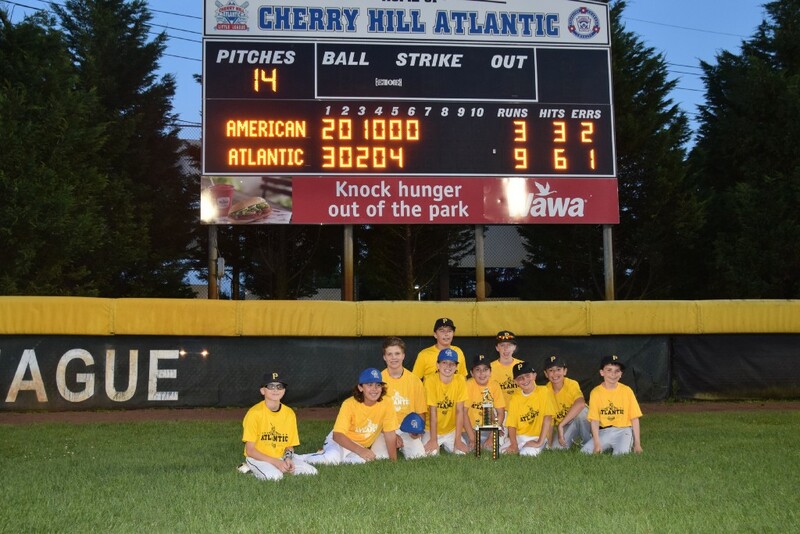 The Pirates, champions of Cherry Hill Atlantic Little League, defeated the Cherry Hill American Little League champion Blue Jays, 9–3, in the second King of the Hill Little League championship game. The Cherry Hill Atlantic Little League Pirates celebrate after winning the 2017 King of the Hill Little League championship game. Kids from two Cherry Hill Little League rec teams took time off from their summer vacation to play one more baseball game last Monday night. The Pirates, champions of Cherry Hill Atlantic Little League’s major division, hosted the Blue Jays, champions of Cherry Hill American Little League’s major division, in a final game to decide the best Little League team in Cherry Hill in 2017 in the second annual King of the Hill Little League championship game. After six innings, the Pirates prevailed, defeating the Blue Jays, 9–3, and bringing the King of the Hill trophy home to Cherry Hill Atlantic for the first time. For most of the players in the game, it was the first time they had played a game in about a month. 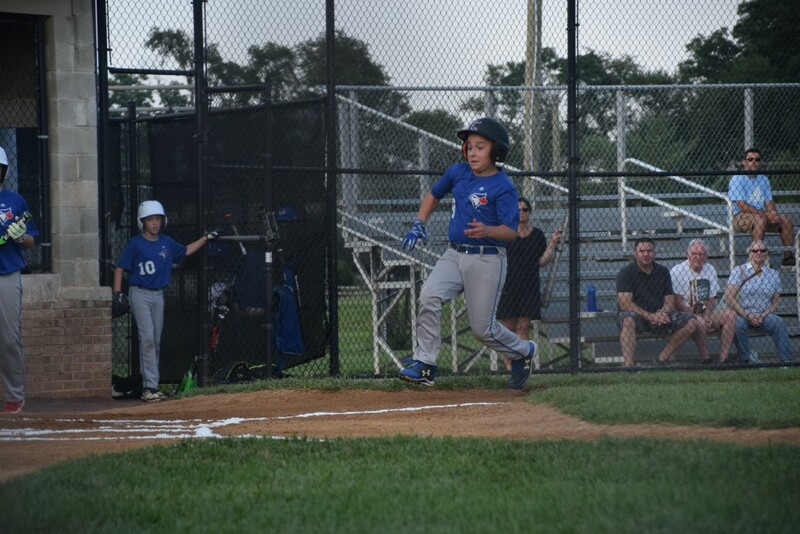 Both Little Leagues finished their recreation seasons in mid-June and jumped into district tournaments shortly afterward. “To get nine kids to come out when vacations are going on, camp, swimming, everything else kids have, it’s a testament to how much they love baseball,” Pirates head coach Jim Russo said. This is the second year Cherry Hill Atlantic and American have partnered to hold a Little League championship game. In 2016, the Cherry Hill American Rangers won the first King of the Hill championship. Ian Gross fires a fourth inning pitch for Cherry Hill Atlantic. 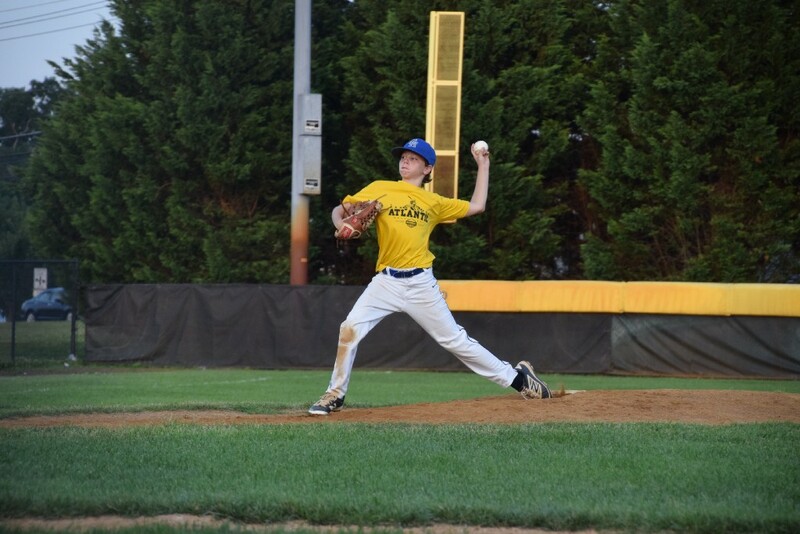 For 12-year-old players such as the Pirates’ Ian Gross, Alec Herring and Andrew Auerbach, Monday night was one final chance for them to play a majors division game on their home field. All three players were instrumental in helping the Pirates to victory. With the game tied 3–3 in the third inning, Cherry Hill Atlantic scored six unanswered runs in its final three innings at the plate to come away victorious. 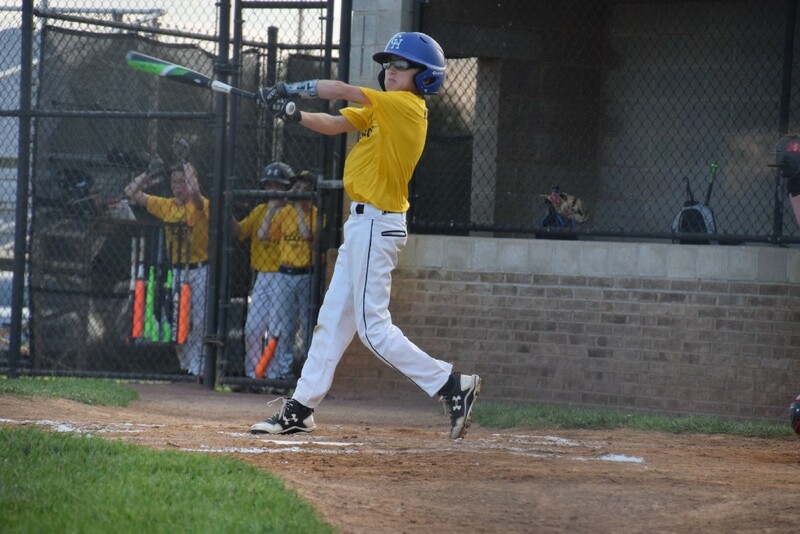 Ian led the Pirates offensively with two extra base hits. He scored the go-ahead run in the third inning after tripling to right-center and then scoring on a throwing error. Ian said being friends with Blue Jays pitcher Lucas Flynn helped him in his at bats. Lucas Flynn fires a pitch for Cherry Hill American in the second inning. “He’s my friend, so I knew how he pitched,” Ian said. It took a couple innings for some of the Pirate pitchers to get their timing down against the hard throwing Lucas. Alec said the team came up to the plate with a simple approach. “Get (the bat in there) and swing,” Alec said. Cherry Hill Atlantic managed to hold Cherry Hill American at bay on defense, especially in the later innings. 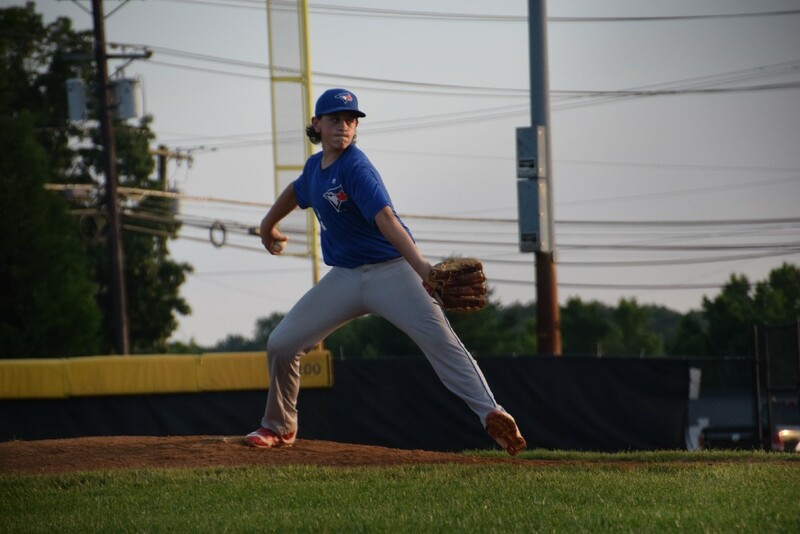 With the Blue Jays threatening to take the lead in the top of the third inning, Andrew cleanly fielded a hard hit ground ball at shortstop and quickly turned a double play to slow down Cherry Hill American’s rally. Cherry Hill American shortstop Alex LaRusso prepares to slide into home plate for the game’s first run. As the Pirates added to their lead in the later inning, Ian, pitching in relief of Alec, held the Blue Jays to one hit and no runs over the final three innings to close out the victory. Joe Bellagamba follows through with his swing during a third inning at-bat. Jim Gross and assistant coach Michael Herring said the victory was the perfect way to finish an outstanding season for the Pirates. The Pirates lost only two games during the rec season.